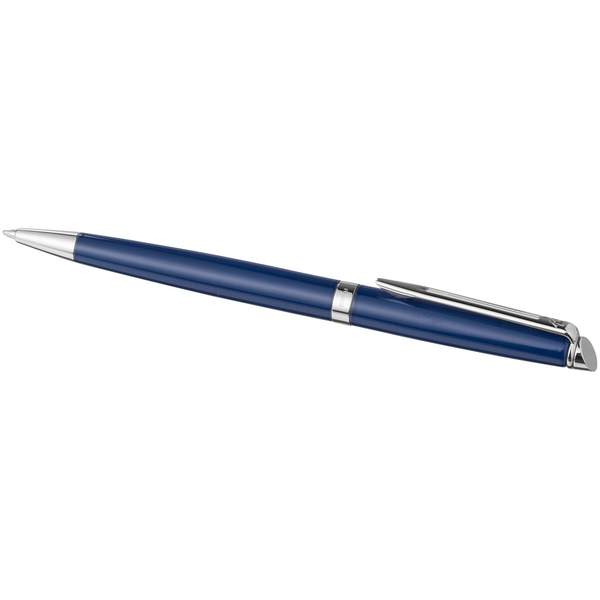 Hémisphère Ballpoint Pen. Blue, the colour of dreams, inspires an exciting new collection of pens by Waterman. Designed with artful subtlety, Parisian elegance and crafted with painstaking care, each pen holds within it the secret potential to release its owner's unlimited creativity. Features: Blue lacquer on cap and barrel enhanced by a refined and subtly engraved ring. Elegant refined and slim shape. Iconic and generous nib with a modern decor. Exclusive design. Incl. Waterman gift box. Supplied with one refill.